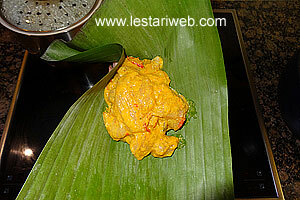 Here it is the special dish from Bali : Tum Ayam or Steamed Chicken in Banana Leaf. 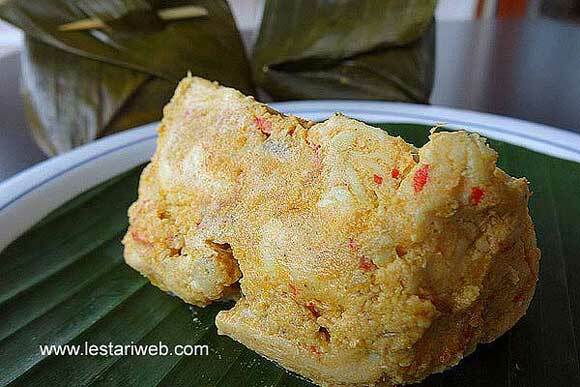 It looks similarly to Pepes / Botok Ayam from Java. 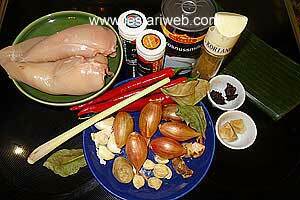 But Tum Ayam has more complex spices & also contains coconut milk. 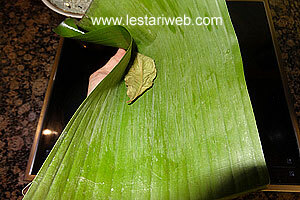 The special spice which is commonly used in Balinese Kitchen is Lesser Galangale/Kencur. Unfortunately the fresh rhyzome is rare almost impossible to find here in the west. But you can get the powder or dry rhyzome in Asian shop easily. 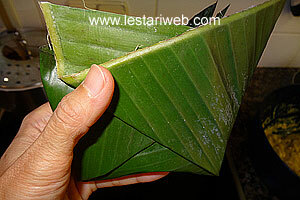 Try your best to get it because this rhyzome could not be substituted with other ingredient. 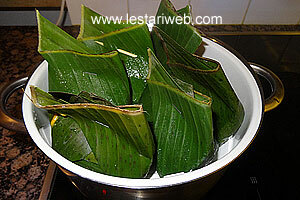 Should be no banana leaf available arround you, then take Aluminium-Foil as a substitute. 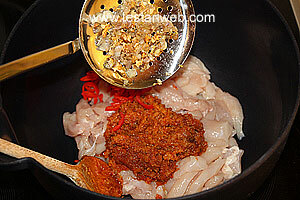 Wash the chicken fillet, cut in strips then put on a largish bowl. Prepare the chopped shallot, chopped garlic & sliced large red chilli. Put aside. Put all ingredients for the paste in a blender or food processor and blend until smooth. (If necessery add a little bit oil to help the blending process). Put aside. Heat 5 tbsp oil in a wok or big saucepan. 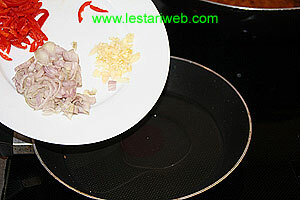 Stir fry the chopped shallot & garlic until transparent & fragrant. Set aside to drain. 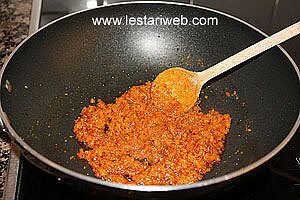 Reheat the saucepan, stir-fry the paste over medium heat until fragrant and well cooked (takes about 5-7 mins). 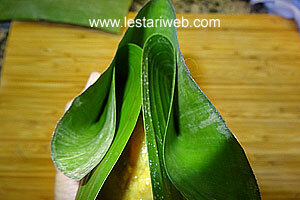 The paste is done when the oil begins to appear on the surface & it's texture becomes scrambled. 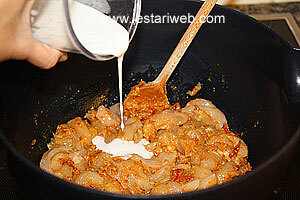 Add the paste, fried shallot & garlic, sliced chili into the chicken's bowl. Stir to mix. 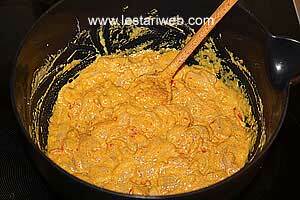 Add the tamarind juice & coconut milk, stir again with wooden spoon to mix all together. Adjust the seasoning, add salt & sugar if necessary. This is an important step to obtain best taste before steaming. Otherwise the seasoning can't be adjusted later on. 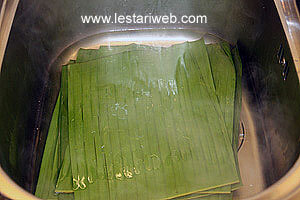 * If you use fresh banana leaves, soak in a hot water for 10 minutes or put above the steamer to prevent tearing or leaking. Pat dry with paper towel. Divide the mixture into 6 portions ( 2- 3 tbsp pro portion ). Put one salam leaf on the bottom center of banana leaf, spoon the chicken mixture in the middle of banana leaf, then wrap it in "Tum" style. Steam the parcels until the chicken becomes tender (takes about 30 minutes). Serve hot as a side dish. 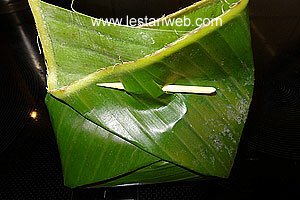 * Fresh banana leaf is particularly stiff and easily torn when it is bent or fold. Therefore it is suggested to soften them before using. There are two ways in practice. Choose one which is easy & suitable for you.